I would like to start this course with the INTRODUCTION TO THE UNIVERSAL LAWS that govern the universe and our existence. These universal laws are the truth. They exist since the beginning of time. The wise, successful, and powerful men and women knew about the existence of these laws and used them to their advantage. Only less than 1% of the world’s population know about these laws. The universal laws are 100% accurate, never fail, and work 24/7. These laws make the world exist in perfect harmony. They hold all the answers to life’s greatest mysteries. As you study and apply these universal principles, you will have CLARITY about your own existence and the world around you. 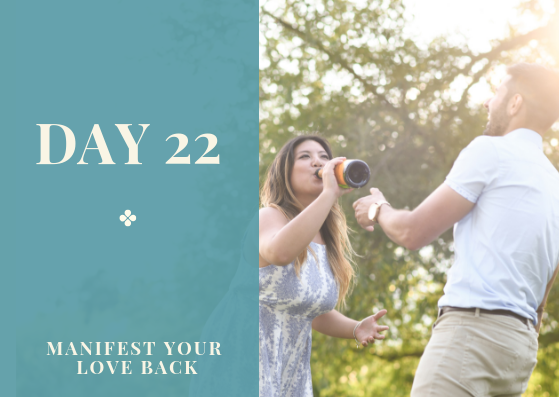 You will understand why you had highs and lows in your relationships, why you and your ex broke up, why you get into the same relationship patterns, and why you have a hard time manifesting your ex back. This course contains principles that you can use in other aspects of your life. When you do, life will unfold the way you want it to unfold. Life will cease to just happen to you — you will make it happen to you. You will also realize that “luck” and “coincidences” do not just randomly happen to you — they are actually your own creations. If you were not aware of these laws in the past, there’s nothing to worry. Be grateful that you’ve come across this information right now. 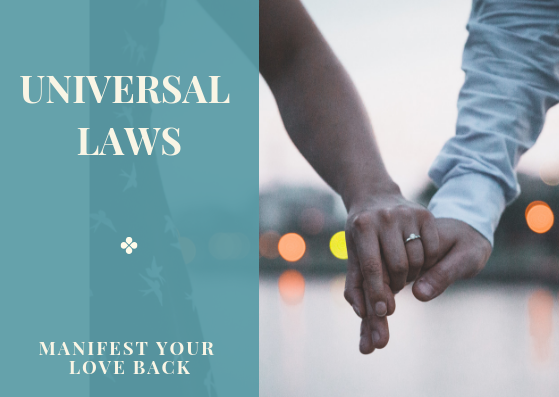 There are SEVEN UNIVERSAL LAWS that hold the master key to unlocking the secrets of life, and I will add one universal law that can supplement your knowledge and understanding of the seven. These universal laws are either immutable or mutable. Immutable laws are ABSOLUTE AND CAN NEVER BE CHANGED, whether you choose to believe in them or not. They are always true from the beginning of time until eternity. They have always existed and will continue to exist — there’s really nothing that you can do to manipulate, change, or transcend them. They operate in full force all the time. Mutable laws are TRANSITORY AND CAN BE CHANGED, MANIPULATED, AND TRANSCENDED. They will always hold true unless you rise above them and change them by using the faculties of your mind and raise your awareness. Although you can transcend them, there’s no reason to ignore or defy these laws because they still govern your day-to-day existence. Without your WILLPOWER and CONSCIOUS AWARENESS, they will still operate in full force. Your immediate goal right now is to master the Seven Universal Laws. 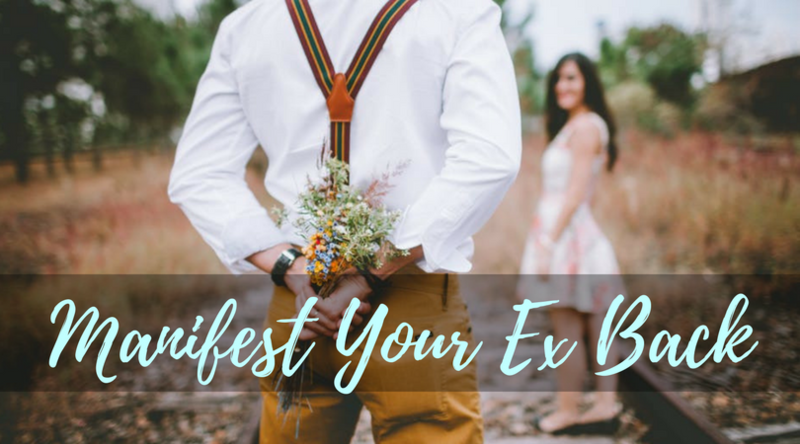 In understanding these laws, you will be able to transcend the immutable laws and leverage their powers to reunite with your ex.